See the schedule at the top of this page and visit the pricing section for rates and information on how to register. Yoga is the oldest system of personal development, encompassing the body, mind, and spirit. 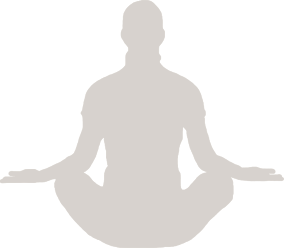 Through a combination of yoga postures, breathing techniques, and relaxation, practicing yoga will strengthen and tone muscles, reduce stress, relieve chronic pain and enhance your immune system, creating optimal health, greater understandind, and inner peace. (Health benefits may include improving circulation, lowering blood pressure and cholesterol, alleviating symptoms of diabetes, arthritis, headaches, back and joint problems, insomnia and depression. You can enjoy the benefits at any age or level of practice. Hatha flow classes designed for students who are new to yoga and for those that may have some experience. The instructor will show variations of postures suitable for both levels. Bodyworks Yoga and Wellness classes run on a semester basis however, drop-ins are always welcome when there is room. Classes are pre registered to guarentee you a spot in the class. If you miss a class, you can make it up within the semester. New students can join the class at anytime: class fees will be pro-rated. All classes are small, with no more than 12 students. Fees are non-refundable once the session has begun, unless your space can be filled. Fees cannot be refunded for missed classes. If you miss a class, you can make it up within the same session, provided that there is space. To increase your chances of obtaining a space, reserve in advance. In consideration of all who wish to make up a class, please notify us as soon as you know that you will be absent from a class. If you have any questions, please feel free to contact Elyse Tannenbaum by Email or at 514-488-4544.